Designed for any type or model of keyboard, the Ergonomic Keyboard Slide is designed for convenient and discreet under-desk mounting. 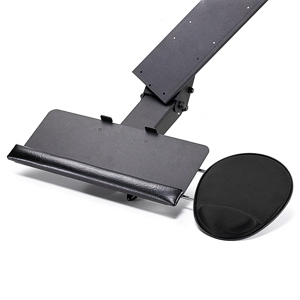 The slide features an extractable keyboard arm and mouse support tray that allows you to position your keyboard and mouse with the touch of a single lever. This empowers you with maximum ergonomic efficiency, and greatly reduces your risk of repetitive stress injuries, like carpal tunnel syndrome. 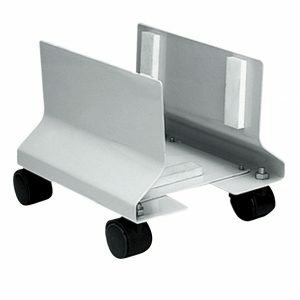 The durable high grade sheet metal CPU trolley is equipped with lockable castors, and is designed to be extremely practical and easy to move. Its compact size makes it perfect for home/office use. The universal and adjustable design enables the trolley to fit all sizes of CPUs, and it is complimented by a sturdy and easy locking Length Adjustment mechanism. With a generous load capacity of up to 150 Lbs (50 Kg) it is among the best in its class. 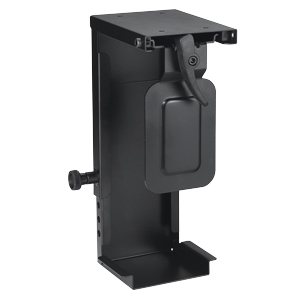 Designed to be mounted and fitted discreetly under the desk, the CPU Holder comfortably accommodates thinner CPUs and reduces cable clutter. It’s smart ventilated design promotes a longer life for the CPU by helping it stay cool. The bracket enables you to adjust the size vertically and horizontally. The holder lifts CPUs off the floor, where dust and water can accumulate and cause damage to valuable equipment. The compact holder is the ideal choice for anyone using small form factor CPUs. Our Sterling Box/Box/File Pedestal gives you convenient and secure access to everything you need. The versatile lockable pedestal box is ideal for storing technology tools and work materials, and bags and other personal items. 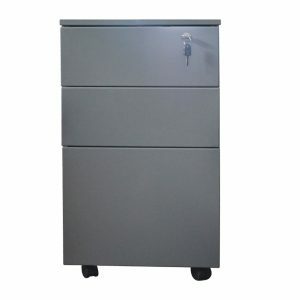 The movable, practical and durable filing cabinet sits right at your side, or fits neatly underneath your desk. With 3 ample sized interior drawers you can split and store your belongings as you please. The top drawer is fitted with a pencil tray for easy stationery item storage. 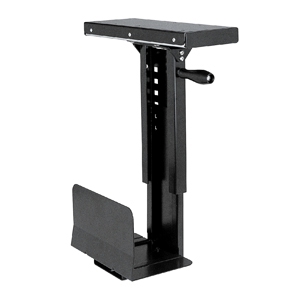 The compact pedestal is suitable for any size of work area.